Christmas is one of my favorite holidays, so it makes sense that one of my favorite hobbies gets brought into the mix. 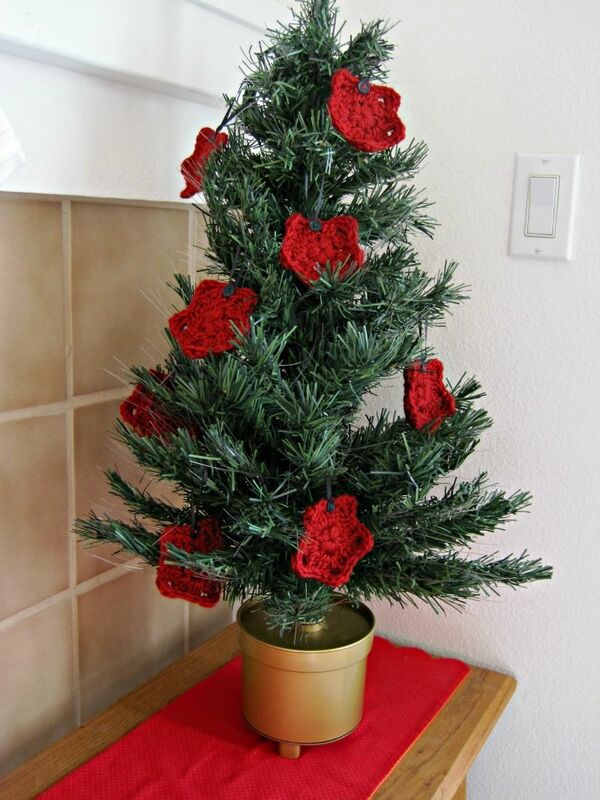 I love the look of crocheted Christmas decorations because it evokes feelings of warmth and coziness. I wanted to share with you a couple patterns I've used and loved for some decor, including one of my very own! 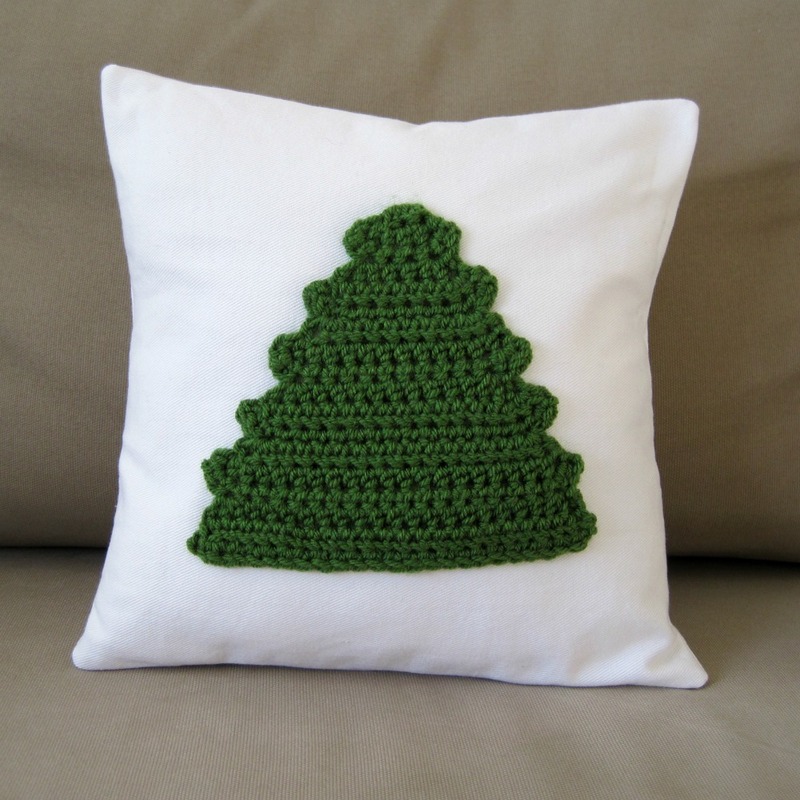 Scroll down for the free crochet pattern for a Christmas Tree applique pillow. 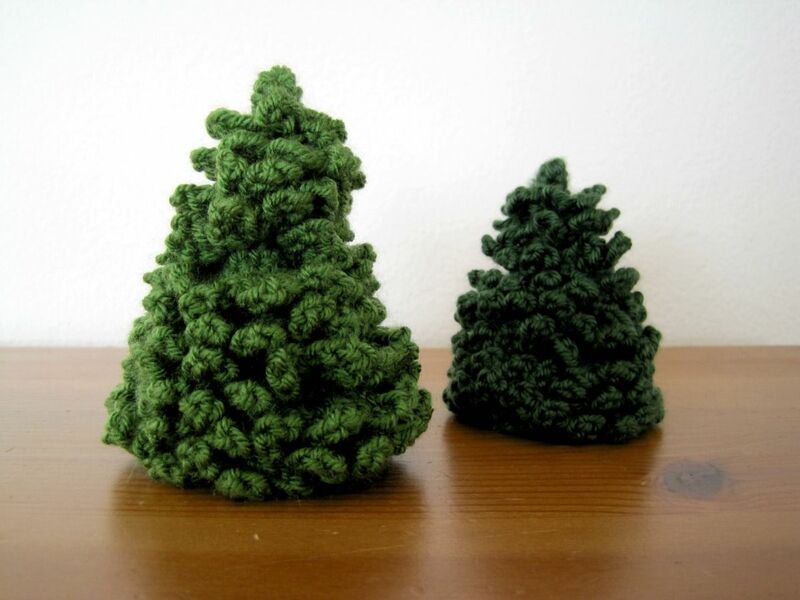 Aren't these little trees adorable? I used a pattern by The Lazy Hobbyhopper. I played around with different yarns and hook sizes as well as adding rows to get different sized trees. 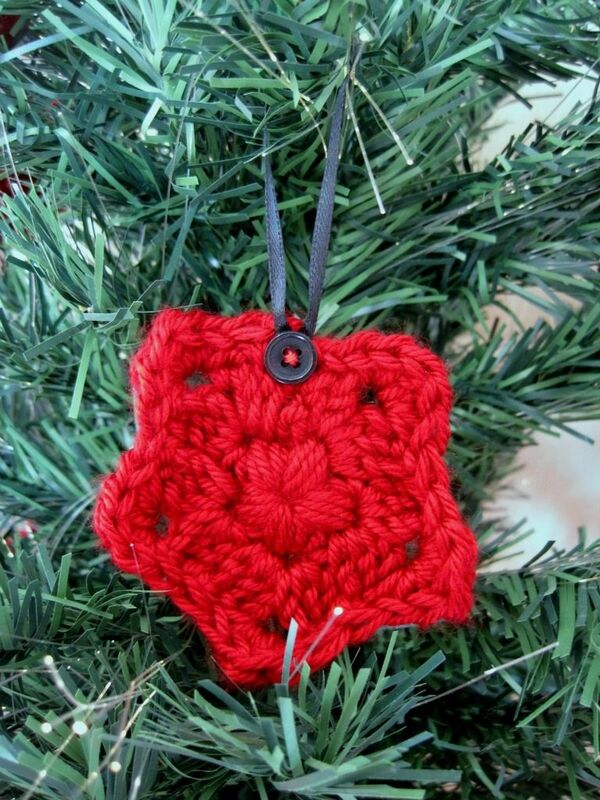 I also made these tree ornaments last year using the Granny Star pattern from Just Maryse on Ravelry. Here it is all together on my mantle with my little mini tree. I wish I had the space to get a real tree, but my little one does the trick. I just miss the Christmas tree smell. Besides the tree and the stocking hangers, I pretty much DIY-ed everything. 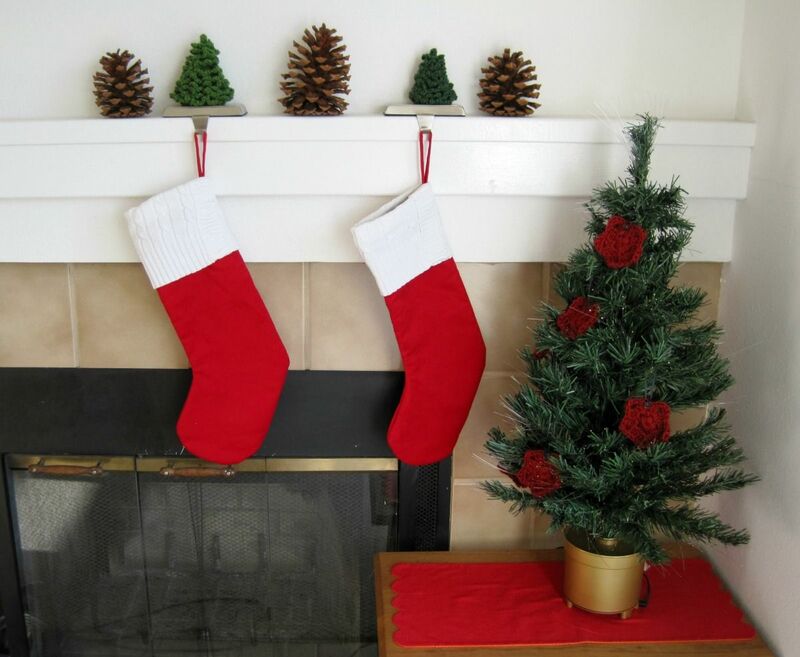 I sewed the stocking a couple years ago using red fabric and an old sweater. The pine cones I collected outside and baked in the oven (vital to killing all the bugs and getting rid of the sap!). The little table runner is from my reversible scalloped table runner tutorial last year. I've just been adding a little more each year, which this year was the mini trees and the tree pillow. Ready for the pattern? ** I sewed a simple envelope pillow cover using white denim. 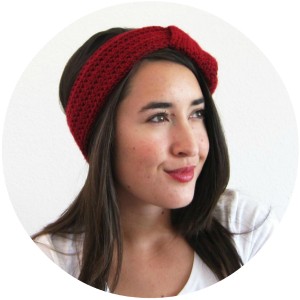 I don't have a tutorial for this, but there's a good one on Delia Creates. The pillow form I'm using is the one I made for my How to Sew a Pillow Form tutorial. My finished Tree was 7" wide and 6.25" tall. You can easily add or take away rows to get the tree to your desired size. Using a needle and thread, sew your applique to you pillow cover. 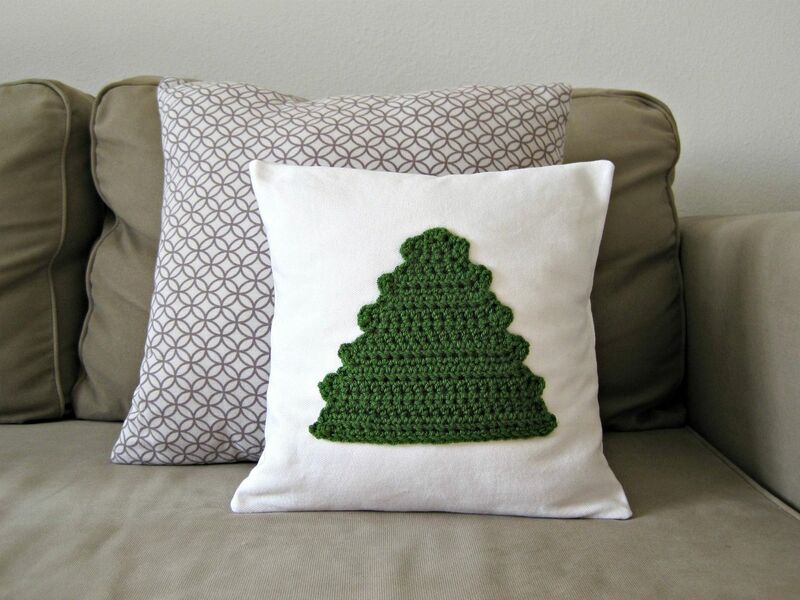 If you do any crochet decor for the holidays I'd love to hear about it! And if you make this pillow I'd love to see pictures. You can tag me in social media (links are in my sidebar).